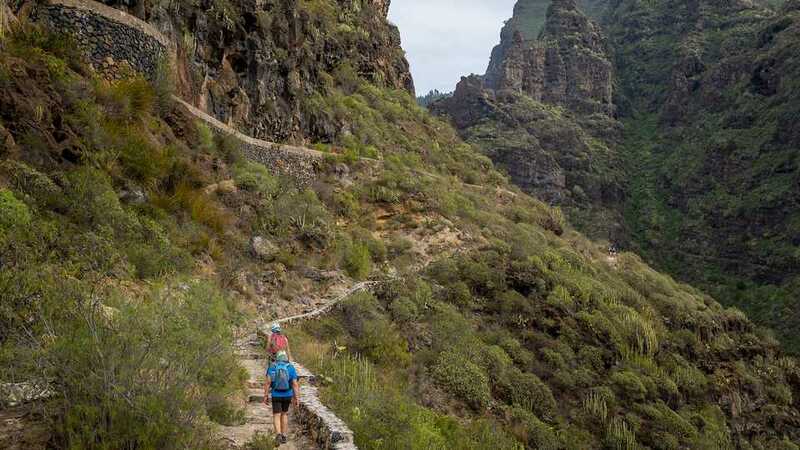 One of the most significant keys to the success of Tenerife is the glorious Adeje. At its coast are many of the archipelago’s most spectacular beaches. Away from the shore, it also has a catalog of compelling landscape. Sprinkled with local hospitality and enhanced with word-class amenities and facilities, it is, by itself, a tourism powerhouse. Before the conquest of the Canaries, the entire Tenerife was a kingdom under one ruling mencey or king. For hundreds of years, all of them up to Tinerfe “The Great”, from which the island was named after, lived in Adeje. Upon the said king’s death, his son’s divided the domain into nine smaller kingdoms. Pelinor, the Guanche king of the Menceyato de Adeje, together with his menceyes of Abona and Güímar counterparts, opted for peace. “El bando de paz″ which literally means “the side of peace” was what the Castillans called them. Naturally, the rest of the other menceyes who resisted were the “bando de guerra” or “the war side”. Upon the fall of Tenerife, Pelinor, then already baptized as Diego, received some of his old land back. Life in the island went on just as the years passed by. Unlike today, though, Adeje’s small village was set near the mountains. Then, the tourism boom happened at the end of the 60s, and the bustle shifted to the coast. Not exclusive to the municipality, development also swept the other shores of Tenerife. And the rest, as they say, is history. Many first time vacationers on Adeje often find themselves astounded. They expect mind-blowing beaches, but few anticipate an equally pleasing inland. It’s a known fact that a wealth of commercial establishments lay here. No one supposed they will find treasures. When traveling to this beautiful municipality, assume nothing and just relish the experience. Adeje played an immense part throughout Tenerife’s long memoir. In essence, learning about the municipality’s past is gaining better insight into the island’s as well. It was in 1556 that the construction of La Casa Fuerte up on a hill at the highest chunk of the old town began. So, at 462 years old, the fortress aptly named “Strong House” is the oldest structure in the entire island. As expected, Adeje is, of course, a haven for religious buildings too. Of the many, two stand out for their beauty and significance. Housing the municipality’s patron saint, Nuestra Señora de la Encarnación, is 16th century Iglesia de Santa Úrsula. Unlike most Canarian churches, this one has a double-nave, Mudejar-style ceiling, and French tapestries. Iglesia del Convento de Nuestra Señora de Guadalupe y San Pablo is also a must-see for its baroque beauty. On the 7th of February 1986, it was declared a Property of Cultural Interest under the Artistic and Historical Landmarks category. Naturally impressive and adorned with classic and contemporary architecture, that is Adeje’s coastline. Tourists vacationing here are in luck as the municipality has various seaside communities. Chic and home to the poshest facilities, Costa Adeje is an island superstar. Playa Paraiso, now with the famous Hard Rock Cafe brand towering over the remote area, is a rising name amongst holidaymakers. La Caleta and Callao Salvaje, on the other hand, are quiet coastal villages. They are perfect for vacationers who want to be near the bustle, but not in the middle of it. 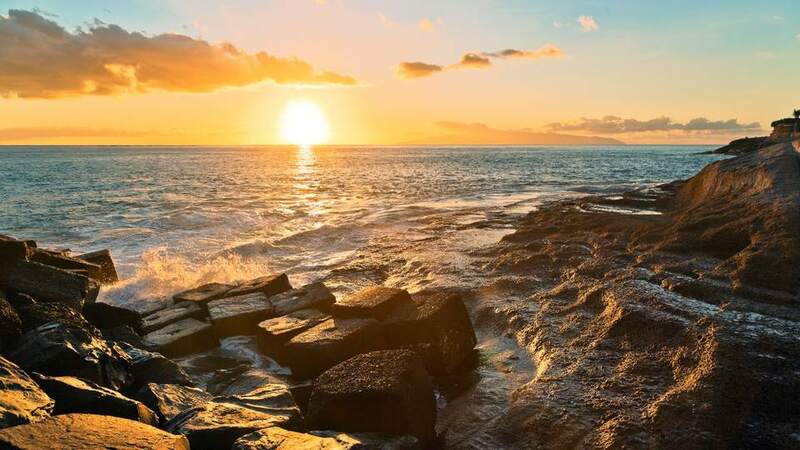 This part of Tenerife has a good deal of dazzling beaches to offer. For black volcanic sand beauties, the best ones are Playa Ajabo in Callao Salvaje, Playa de la Enramada in La Caleta, Playa Paraiso’s Playa El Roque, and Playa El Puertito. 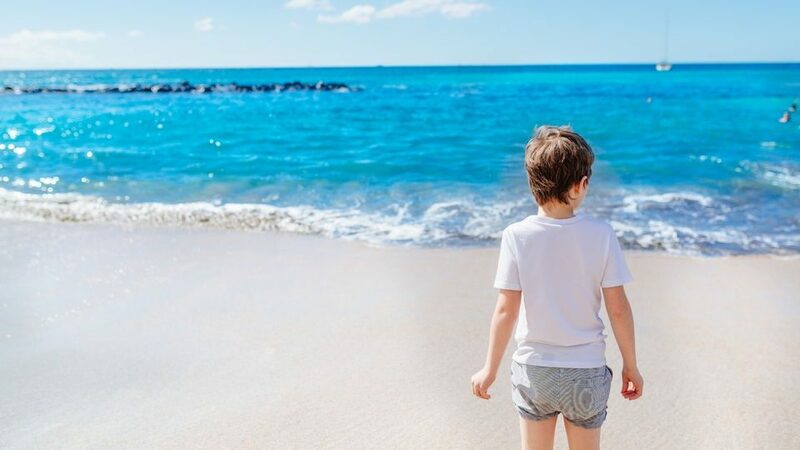 Stunners with light sand like Blue Flag beaches Playa de Fañabé, Playa de Troya, Playa Torviscas, and Playa del Duque are crowd-favorites. For naturists, they can head to the secluded Playa Diego de Hernandez. Also known as Playa Blanca, this is Adeje’s only nudist beach. 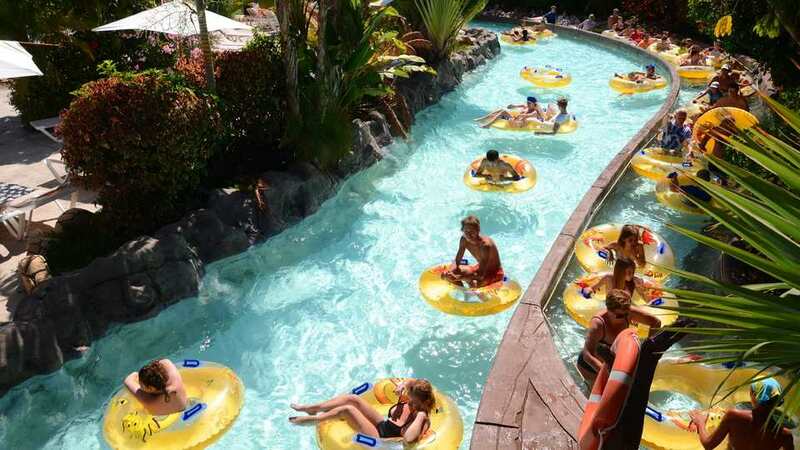 Travelers with families or in groups are often the ones interested in going to water parks. As a tourist mecca, Adeje boasts not just one but two of these type of attractions — Siam Park and Aqualand. The former is larger but has height restrictions and long queues for the rides. Those coming with kids should check if they can make the cut and if they have the patience to wait or be willing to pay for the fast pass. The latter is better for people with small children or perhaps prefer a quieter time. 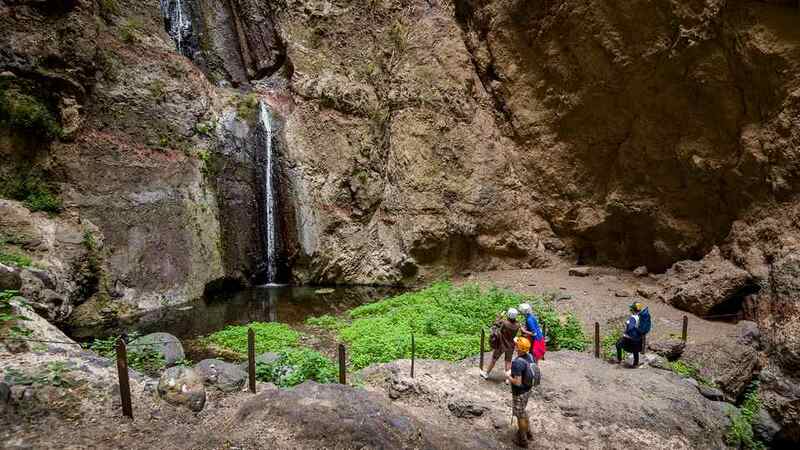 Second only to Teide National Park, Adeje’s Barranco del Infierno is the next most visited natural rural attraction on the island. Along its hiking tract are dramatic untouched scenery that enamors hikers. The hike to the Hell’s Canyon” starts at the village of Adaje and ends to an incredible waterfall. No one should just walk in without reservations, though, as only up to 300 a day can enter. This limit is to make sure the development of its diverse flora and fauna is not disrupted. 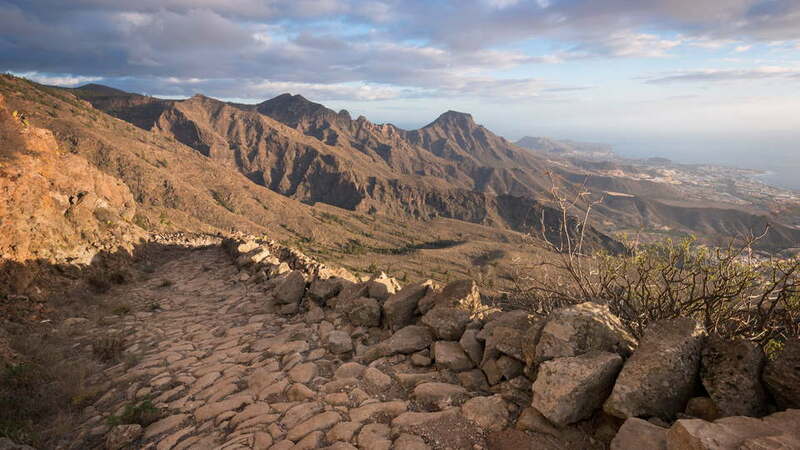 For other exciting landscapes that provide breathtaking panoramas, also hike to the plateau Ifonche, Roque del Conde (also in Barranco del Infierno), Boca del Paso and Camino de Carrasco. 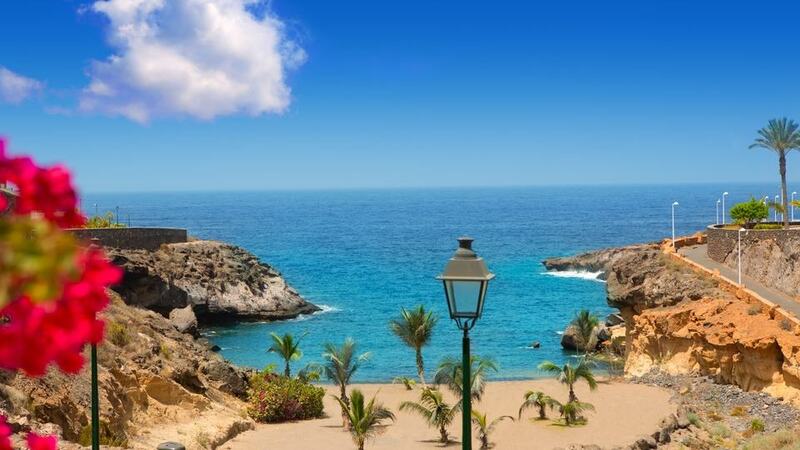 Laying on the sand and falling in love with the seascape remains to be the most popular activity when in Adeje. For those who want to dust themselves up and move a little (or maybe a lot! ), there’s a profuse number of other pastimes available. Daredevils can go for different kinds of surfing, water-skiing, and paragliding. The more relaxing ones include diving, fishing, snorkeling, and banana boat and pedalo riding. There are boat rentals and boat tours such as whale and dolphin watching trips too. For off-water recreations, they can jog, hike, golf, horseback ride, and play tennis. There are two main buses that service Adeje from Santa Cruz. Bus 110 is the express bus that stops at Los Cristianos, then proceeds to Costa Adeje. The other, bus 111, picks up passengers from the South Airport (TFS) before taking the same route as the prior. 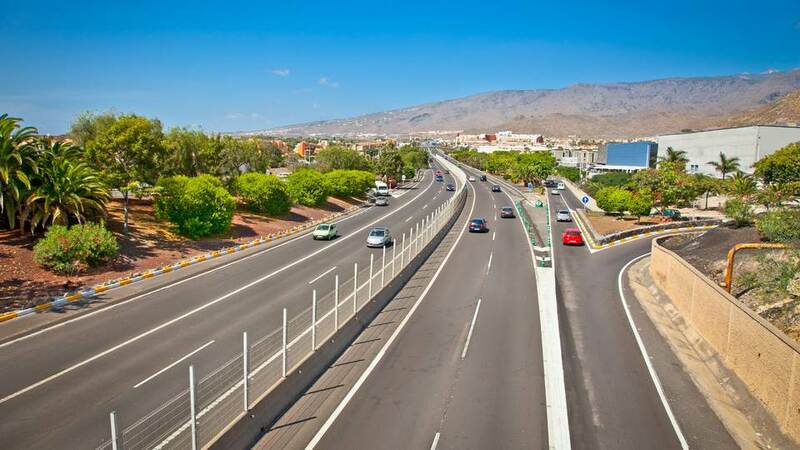 From the capital or Tenerife South Airport, take TF-1 motorway all the way to Adeje. This road connects the municipality to the south and east coast. Taking a bus is still an option when going around the municipality and to nearby resorts. Vacationers can avail of the Bono Bus Card at €15 for discounts. Taxis, car hires, and scooter and motorized wheelchair rentals are also quite inexpensive. Just be attentive to possible illegal surcharges for the first one. A deluge of accommodations, primarily by the coast, is eager to receive the tourists of Adeje. It goes without saying that the competition amongst the temporary dwellings is tight. This situation, naturally, is to the benefit of holidaymakers as they have more options. Luxury and privacy all while feeling at home is what Royal Garden Villas has to offer. Feel pampered in the posh 5-star resort’s gym, spa, and onsite restaurant set in gardens. Enjoy the impressive ocean views from all the villas own terrace or dip on the private heated pools. When guests feel like whipping up their own meals, they can walk in on the unit’s well-equipped kitchen too. Groups or families of up to eight persons will have a blast in Villas Flamingo Resort. Their two four-bedroom villas are vacationers’ home away from home. One comes with a private pool, while the other with a sea view, both are spacious and clean. Many attractions are also just a couple of minutes away either by foot or wheels. Two La Caleta superhotels come with soaring high endorsements from satisfied guests. Royal Hideaway Corales Beach, an excellent adults-only choice, is a minute walk from the beach. When clients wish to stay within the property, they may indulge in its three pools, restaurants, bars, and wellness center. Note, though, that not all rooms come with a terrace or balcony. A bit farther from the shore, about 11 minutes walk, is Hotel Suite Villa María. All their villas have a fully-equipped kitchen and a lounge. Some have a hot tub, while others come with a private pool. They also serve buffet breakfast every day. The spotless white Hotel Baobab Suites is an exemplary, family-friendly accommodation. Guests of all ages can have fun in the outdoor pool and spacious sun terrace. They may also head out with no hassle as the retreat is near to a lot of other places. Playa El Duque is only 12 minutes walk away. Shops, restaurants, and other establishments are also within walking distance. As for their units, each one has a living-dining area, large windows, and a furnished terrace. As a municipality with a parade of top destinations in all of the Canaries, abundant food selection is a guarantee. From the most exquisite to the bargain bars, if the tourists want it, it’s here. Monte Christo‘s gorgeous plates come with a higher than usual price. The total dining experience is worth it, though. An elegant restaurant with a cozy ambiance, and, most importantly, heavenly Italian food. Their duck plate, pasta, steak, and king prawns are their top-sellers. For dessert, do try their pudding and tiramisu. Many of those who have sampled the tapas of El Makami call it Adeje’s best. Apart from the local appetizer, other crowd-favorites in this small restobar are meatballs, pizza, hamburgers, chopitos, and patatas bravas. While waiting or eating, also enjoy the scenic views from the beachfront establishment. One of Costa Adeje’s most outstanding restaurants, Delhi Darbar is truly special to stand out amongst so many. It’s a busy place serving tasty Indian cuisine that many claims is too good for its price. Curious now? Don’t just pop in, though. Call for a reservation to make sure a table awaits. Their best-sellers are coconut rice, samosa, papadum, and king prawns. The view of the Coqueluche itself is worthy of a travel or food magazine cover. During sunset, it’s even more paradisiacal. 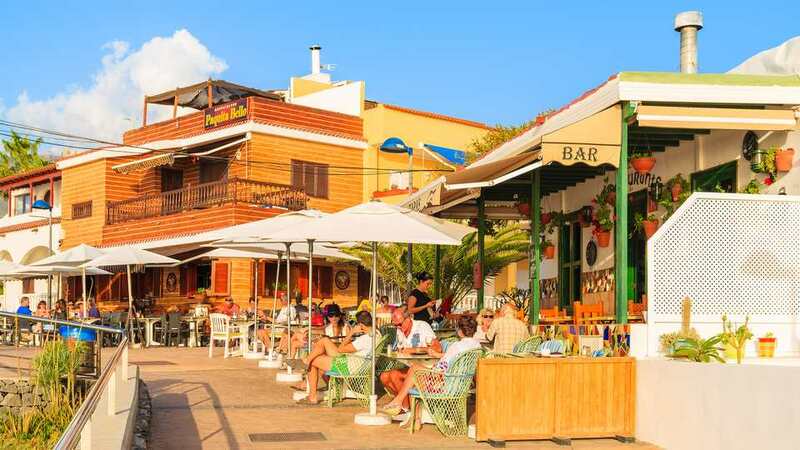 When sauntering anywhere in La Caleta, do swing by for a barraquito or cocktails over live music. Pair any of their drinks with calamari, sandwich, salad, or tapas. Lastly, while delighting the palates, also watch paragliders as they land on the beach. Most of what globetrotters want for their vacations are in Adeje. So, as soon as one sets foot on the expanse, ticking off the holiday wish list starts. There’s a torrent of activities, sights, fascinating places, amenities, facilities, and sublime food. All those make the municipality a word-class destination, and it has been for a long while now. Why do tourists keep coming back? There’s a new list to complete, and they know just the right place.